The M3 Segfault Dreadnought targets are now live! They're distinguished by their L120 tag, whereas the previous levels will continue to drop their respective fragments. The M3 upgrade provides access to a second Squadron slot, boosting it's destructive capabilities. It also adds another 10% BL resistance to the Segfault, while boosting up its other stats. The M3 Segfault credit consumes 320,347,171 Ore and takes up 2D 8H 30M of your time. Each of the targets drop 6-10 M3 fragments. Two of these fleet are more or less the same, but one is substantially different. Tread carefully. The Pharmakon DDOS target contains six M6 Trojans and one M2 Segfault which move in all at once. You'll want to act fast, so as not to get wrecked by the Segfault's power. The Pharmakon Hardwired target contains three M5 Trojans, three M5 Daemons and two groups of two M6 Trojans and three M6 Daemons. The twin M4 ship groups begin to move in once a Daemon takes a hit. If you're familiar with farming end level Hellions or Abysses, then this target is for you. The Pharmakon Matrix target contains four M5 Trojans, two M6 Trojans and two M5 Daemons, one M1 Segfault, two M6 Daemons and one M6 Trojan, split into three sections. The second and third sections remain inactive until a M5 Trojan in the first section and either M5 Daemon in the second section each take a hit, respectively. If you're familiar with farming the more recent L120 Overwrites, then this target is for you. Please be aware of the new fragment system that will be in place from here on forth, hardlocking the total amount of fragments you can obtain to 1000. This also includes the Behemoth. For further details, refer to the March CM Diary post. Statistics on Segfault owners will be posted here on a regular basis, by asking the KIX devs. Happy hunting! While I am working my way up the segfault, I disagree that they are as doable. - Some of the behemoth targets could actually be kitted (or partially kitted) resulting in minimum repair so I could farm for hours. This is mostly not the case with Segfault targets - it's all about gearing for these to minimize damage. - Most of the behemoth targets could be farmed with a fleet that cost at most 12-16 hours to repair (fully dead). Segfault targets require an elite Altairian fleet that is over a day to repair fully dead (I usually stop when I'm around 16-18 hours). 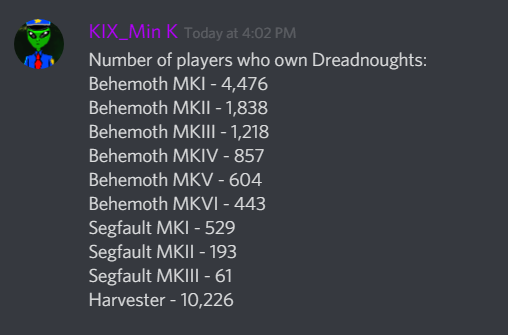 These two reasons alone have resulted in drastically slower progress on farming for the Segfault compared to the Behemoth. I'm still on mk2 so I haven't tried the mk3 yet. 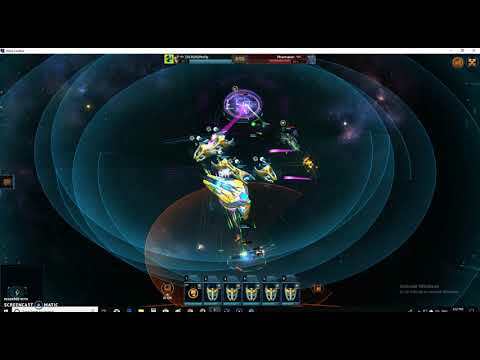 i am gathering that you did not watch either of my videos as i showed how to farm 2 different targets for less then30 minutes of repairs. But on the DDOS 110s, yeah, the EX damage can make a big difference. 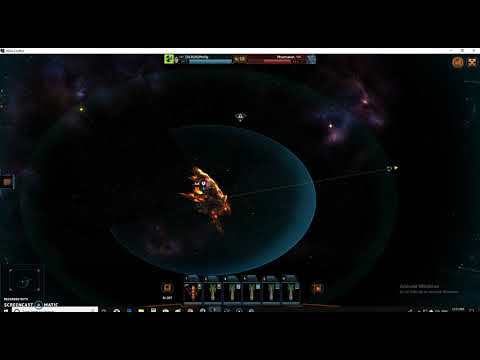 If I mess up and that causes the shields to go down on a ship, that ship then takes massive damage from the DoT. I expect the 120s might be easier since that got switched to plasma like the rest.